Apologies were received from Councillors Garland, Gooch and Harwood. Councillor Joy was present as a substitute for Councillor Harwood. Councillor Mrs Stockell was present as a substitute for Councillor Garland. 59. To consider whether any items should be taken in private because of the possible disclosure of exempt information. RESOLVED: That the items on Part II of the agenda should be taken in private, as proposed, due to the likely disclosure of exempt information. RESOLVED: That, subject to checking the first resolution on Item 41 - Policy on Disposal of Property, the minutes of the meeting held on 25 July be signed as a correct record of the meeting. The Director of Finance and Business Improvement updated the Committee on its Work Programme. It was noted that the report on Fees and Charges was to be brought forward from December to November to assist the other Committees when setting their Fees and Charges. RESOLVED: That the Committee Work Programme be noted. The Director of Finance and Business Improvement presented an update to the Committee on Flood Risk Alleviation work in the borough. Safety work on the Mote Park Lake Dam, in order to increase its resilience to flooding and protect nearby properties. In terms of property level improvements against flooding in the Medway Confluence, the Committee noted that only 41 of the 401 properties eligible for property level flood resilience measures had received a full survey so far. Concerns were also raised that the �7500 grant offered by the Environment Agency would not be enough to cover the necessary flood protection measures for some properties, leaving the owners liable to fund the difference. In response to a question from the Committee, the Director of Finance and Business Improvement confirmed that properties at very significant risk of flooding, such as those in Hart Street in the Town Centre, were also potentially eligible for a �7500 grant from the Environment Agency to improve flood resilience. The Director of Finance and Business Improvement explained to the Committee that some of the expected works that were proposed as part of the Bridges Gyratory Improvements had been found to be unfeasible. A meeting had been scheduled for 13 October for all parties involved in the scheme to explore options and work towards a scheme that was feasible. The Committee requested that in future these work streams are brought to the Committee as separate items. 1) The appropriate Officers from the Environment Agency are invited to speak to the Committee at a future meeting on the progress on the flood alleviation work in the borough. 2) The appropriate Officers are invited to speak to the Committee at a future meeting to give technical advice on the problems faced with flood alleviation works as part of the Bridges Gyratory Improvements. 3) Information is circulated to the Committee on how many of the properties identified as part of the property level flood alleviation can be protected within the �7500 limit of the Environment Agency grants. 4) The progress with flood alleviation schemes to be delivered by the Medway Flood Partnership is noted. The Interim Head of Revenues and Benefits introduced a report on the Discretionary Business Rate Relief Scheme. The Committee noted that the scheme had been introduced to provide relief to those businesses that had been adversely affected by the 2017 Business Rate Revaluation. In order to minimise paperwork, avoid any further delays and to ensure as many businesses benefited as possible, the relief would be automatically applied. It was noted that there would be contingencies held for successful appeals and to provide relief to businesses with special circumstances who may not have qualified otherwise. 1) The Business Rates Discretionary Rate Relief scheme described in the report, with the criteria for eligibility set out as Option 2 in section 3, is adopted. 2) Authority is delegated to the Head of Revenues and Benefits to finalise and implement the scheme. The Director of Finance and Business Improvement presented the First Quarter Budget Monitoring Report 2017/18 to the Committee. � Planning Appeals � due to the likely costs of upcoming appeals that the Council must defend. � Temporary Accommodation � due to Council owned Temporary Accommodation taking longer to come on stream than originally planned. 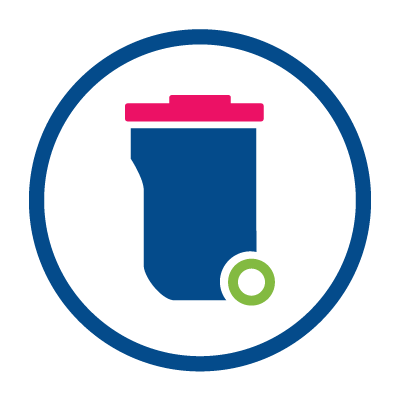 � Street Cleansing � overspends due to staff sickness and associated agency staffing costs to cover sickness. � Treasury Management � due to investment performance being lower than expected. As well as overspends, the Council had also performed better than expected in some areas. An example of this was that income due to investments in commercial property had provided a greater return than originally expected. The Committee had concerns about two particular areas and requested that the relevant Committees paid attention to these areas � Cost of Planning Appeals and slippage in Essential Works to Mote Park and other Parks. In response to a question, the Director of Finance and Business Improvement clarified that the Business Rates write offs in the report were for failed businesses where all routes of recovery had been exhausted. 1) In view of the financial constraints for this council, SPST and Planning Committee are requested to pay particular attention to how they can manage planning appeal costs. 2) The Heritage Culture and Leisure Committee pay close attention to the Capital Slippage for Parks and Open Spaces in relation to Mote Park and Other Parks. 3) That the revenue position at the end of the first quarter and the actions being taken or proposed to improve the position where significant variances have been identified, as set out in table 1, paragraph 2.8 are noted. 4) That the proposed slippage in the capital programme of �5,295,397 into 2018/19 as detailed in paragraph 2.11 is approved. 5) That the performance of the collection fund and the estimated level of balances at the year-end is noted. 7) That the performance in relation to the treasury management strategy for the first quarter of 2017/18 is noted. Note: Cllr Fermor was not present for the vote for resolution 2. The Head of Policy, Communications and Governance presented the key Performance Indicator update report for quarter 1, summarising performance for the top three priority action areas. It was noted that only three of the indicators had a red status, and these were all due to be considered by the Communities, Housing and Environment Committee at their next meeting. The Committee requested further information on fly tipping data. The Committee was concerned that the data was not accurate due to problems with reporting fly tipping online for some areas. The Head of Policy, Communications and Governance explained that the digital team was aware of these issues and an update on a resolution would be provided in the next Members� bulletin. The Committee requested further information be circulated to the Committee on those indicators that were not red but the direction of travel showed a decrease in performance. RESOLVED: That the summary of performance for Quarter 1 of 2017/18 for Key Performance Indicators be noted. RESOLVED: That the press and the public be excluded from the meeting due to the possible disclosure of exempt information. RESOLVED: That the minutes be approved as a correct record of the meeting and signed. Note: Councillor Perry left the meeting at 9.19 p.m., during the consideration of this item. The Government had announced a pilot for 100% Business Rates retention, which included two tier areas, for 2018/19. Kent local authorities collectively met the criteria for participating in the pilot. If Kent was chosen as a pilot, there was a potential financial benefit to authorities in the county for 2018/19. Maidstone Borough Council were already part of a Business Rates Pool across Kent, however the pool excluded Sevenoaks and Dover District Councils and Medway Council. The Business Rates retention would be retention of 100% of the growth in Business Rates, not 100% of the Business Rates collected in the area. The main financial risk to the Council of being part of the pilot was that it would have to share the cost of negative growth in any authority forming part of the pilot. In response to a question from a member of the Committee, the Director of Finance and Business Improvement explained that it was possible for a growth fund to be set up as part of the rates retention pilot. Such a fund would enable spending on projects and infrastructure that would enable greater business rates growth or lessen costs to member authorities due to growth in the area. 1) The Department of Communities and Local Government invitation to take part in a 100% Business Rates Retention pilot for the financial year 2018/19 is noted. 2) The benefits and risks associated with a joint proposal from Kent authorities to take part in the pilot are noted. 3) Delegated authority is granted to the Director of Finance and Business Improvement, in consultation with the Chairman of the Policy and Resources Committee, to sign off a joint Kent proposal for a 100% Business Rates Pool, together with the associated governance arrangements, on behalf of Maidstone Borough Council. 7.20 p.m. to 9.41 p.m.